Unique appeal of traditional feel, Suitable for storing any item like prasad. Size of the product: 11.5" (L) x 10" (W). Why use plain and old storage containers? Shift to the new style apple shaped Storage containers. 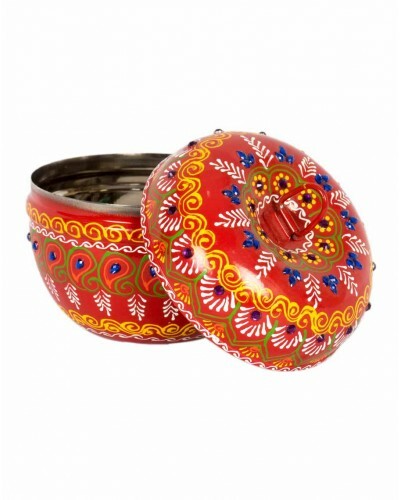 Designed in the shape of an apple, this container is also decorated with colourful stones and oil painting that's done by hand. The container can be used for storing any items such as dhal, snacks, sweets etc.